Ok so Spider Island stretches past the boundaries of Venom but the tie-ins are some exceptionally well done issues. A virus ravages New York City turning people into spider creatures and the government taps Agent Venom to bring down a creature dubbed the Spider King. Unfortunately despite being successful this proves to be a trap as the Spider King’s priority is the spread of the virus through some nasty little spiders. Luckily Flash is rescued by…a dog named Samson who the Symbiote adopts as a temporary host, which is AWESOME! Then we find out the Spider King is in fact good old Steve Rogers turned monster. See I told ya! Venom Dog! 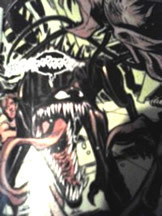 Issue 7 features the first confrontation between Flash and Eddie Brock as Anti-Venom. Flash must literally beg the Symbiote to stay with him instead of returning to Brock and he has to complete his mission to get Anti-Venom to help cure the Spider Virus before his abusive alcoholic father dies. 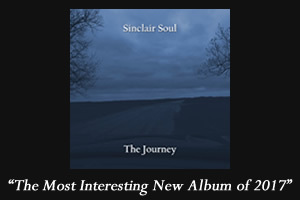 It’s an emotional roller coaster on every level. Top marks to Remender for handling it so effectively while tying it in to the overall Spider Island narrative. 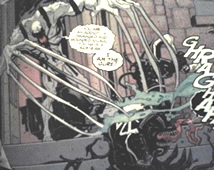 Especially the moment where Flash must lie to himself about the fact that he doesn’t need the suit by saying to himself “use it…just this one last time,” it’s a subtle nod to the fact that Flash uses the Symbiote like a drug and his relationship with it is one of a junkie needing his fix while pretending he can quit whenever he wants. The art is excellent throughout all these issues but my favorite images come from issue 8 when Venom confronts the Spider Queen. It gets even more vibrant when Steve Rogers teams up with Venom on the last few pages. Remender also does some of his best narrative work in this issue as Flash’s father’s final letter to him is peppered through the opening of the story to give the reader a great amount of emotional resonance with Flash but sadly the letter burns before Flash actually reads it so that the reader is completely haunted by the knowledge that Flash will never get those final words from his Dad and thus live with just a bit more guilt over his relationship with him. On top of that the Spider Queen is given some of the most fun dialogue of any villain in Venom. Everything she says is a direct sexual innuendo near the end of the issue and when she mounts Venom and monologues about how revved up killing gets her Steve Rogers bursts in with the great line, “Don’t mean to interrupt Queen , Central Park has rules about Public Fornication”. It’s also interesting to note this is one of the first times Remender writes Rogers, for those who don’t know he now pens Captain America fantastically. 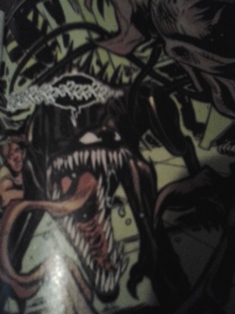 That about wraps up my first discussion on the number 7 best story arc in Venom Volume 2. Check back on the appropriate date to read the rest!